The 10th anniversary of TEXSOM will take place at the Four Seasons Resort & Club in Las Colinas, Texas, from August 9 to 11. 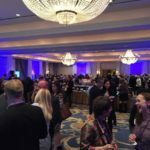 The Texas Sommelier’s Conference hosts wine professionals and connoisseurs from around the world allowing them to attend educational seminars, network, and participate in certification opportunities. 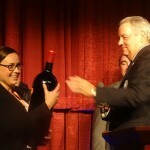 One of the highlights of TEXSOM is the Texas’ Best Sommelier Competition. 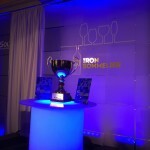 The competition presented by Texas Monthly will include 25 Texas Sommeliers competing for the title. The competition pits sommeliers from around the state against each other and tests their sommelier skills in various aspects such as blind tasting, wine knowledge, and service. The winner receives scholarship money to use for their continuing Court of Master Sommeliers certification programs. 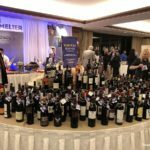 Last year, wine blogger and Certified Sommelier Matt McGinnis from Austin wrote a blog post on the Austin area competitors. I thought this was a great idea and this year I wanted to showcase the competitors from the Houston area which is where I live. I talked to Matt and we agreed to do dueling posts from the two cities because we are sure the winner is going to be from our particular city. 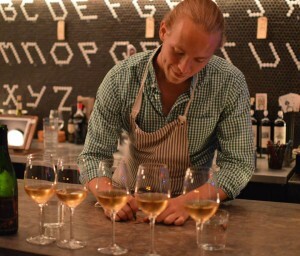 Matt may have history on his side though, because in the past nine years of the Texas’ Best Sommelier Competition, five of the winners have been from Austin. When I first saw the list of competitors for this year, I knew Houston had a great chance at taking the title home because one of the participants came in third in last year’s competition. That was James Watkins who is the beverage directory of the Cordúa Restaurant Group. 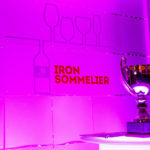 One of the eligibility requirements for the competition is competitors must not yet have received the third level certification of Advanced Sommelier through the Court of Master Sommeliers. The day I received the list of competitors for this year, I was forewarned that James had just sat for the Advanced Sommelier exam and they were waiting for his results. Of course he passed making him ineligible for the competition. 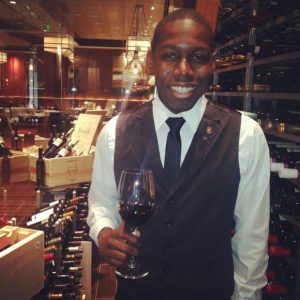 Even though James will not be competing in this year’s competition, I have faith that one of the Houston sommeliers will win. You can read about their Austin competitors at Matt’s post on his blog. 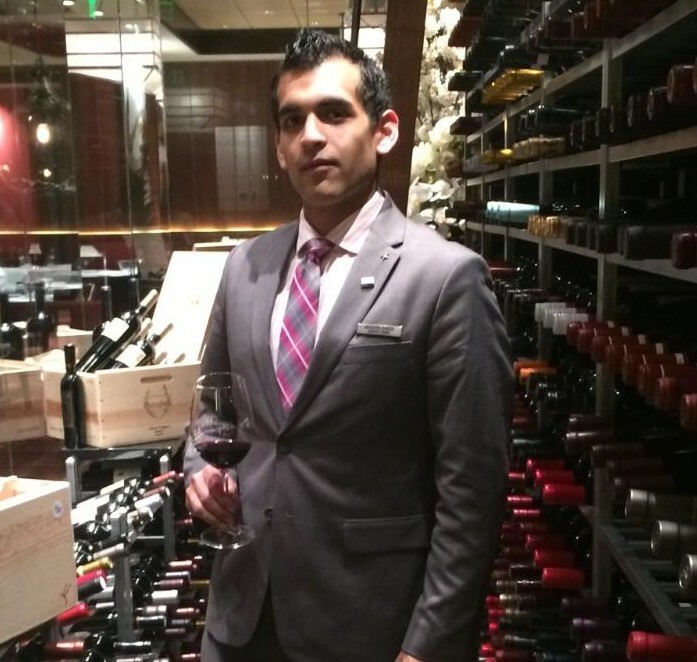 Here are the Houston sommeliers who will be participating in this year’s Texas’ Best Sommelier Competition. Paulina Avendaño is manager and sommelier at the Hotel Granduca’s Cavour Restaurant. She was born in Mexico City and spent most of her life in the United States until moving to Monaco to pursue a career in cosmetics and fragrances. Living between France and Italy allowed her to be in contact with both cultures and discover the world of wine and gastronomy through a new perspective. I entered the competition because it would challenge me to study and test my own knowledge on competition day. It is very hard to find a balance between working full time and studying while keeping a healthy lifestyle. I have to be very focused and always keep studying and work as my two priorities. My goal is not to win, but to learn from myself and from other great sommeliers how it is that they sell wine and then apply their knowledge with the guests to provide a memorable experience. What will you drink when you win the title of Texas’ Best Sommelier? If I was to win the title of Texas’ Best Sommelier, I would open a bottle of a vintage Champagne and share it with my friends. Andres Blanco described his background: “My father in his 30’s worked as a waiter in fine dining restaurants back in Mexico. He still had time to play me Beatles’ songs with his guitar after work (and let me sip some of his Modelo Especial). That made it clear to what I wanted to be when I grew up (I also learned to play guitar). I learned my father’s people skills, while my mother taught me her entrepreneur spirit and selling skills through her cosmetics business. Since I was already a world history fanatic myself, it was only a matter of time before I would get sucked into the wine world. “I have always worked in restaurants since I was 18, but starting in 2008 I entered the fine dining scene. 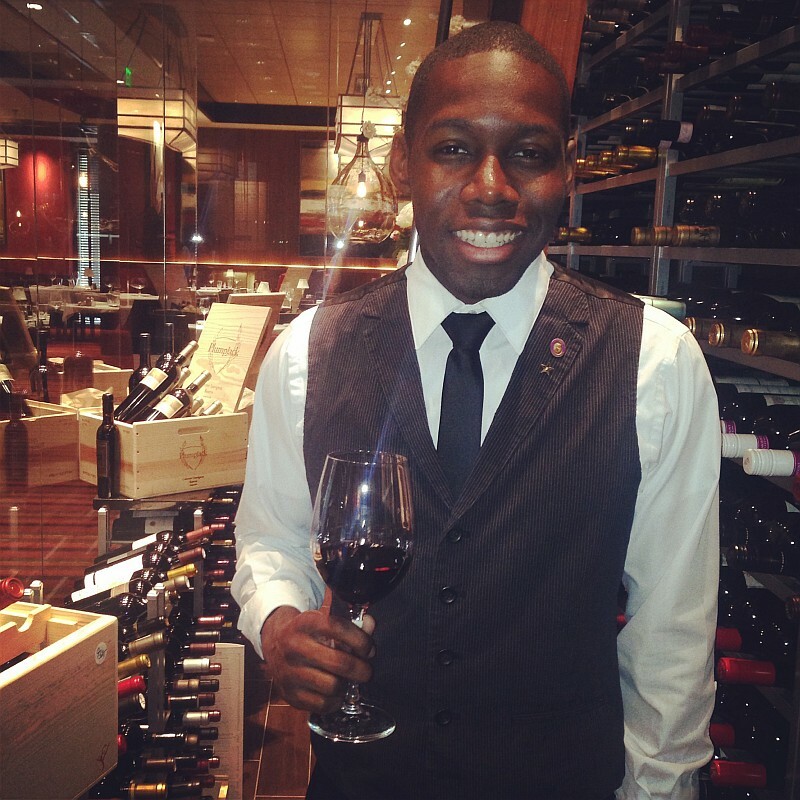 With zero wine knowledge, my friend Dario (Najera) provided me the chance to meet the manager and train as a server at a prestigious Italian restaurant in Houston called Arcodoro. If I passed the two week training, I would get the job which I miraculously did. Blanco worked at other restaurants with different cuisines in following years. 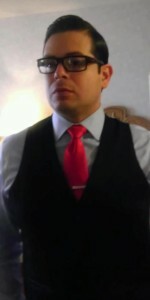 After seeing the movie SOMM, he returned to study and created a study group with his close friends and sommeliers to help other Latinos through the CMS. Their study group is called “MexSom” in honor of their first TEXSOM attendance years back and their accomplishment with educating a larger audience in wine education in the Spanish language. 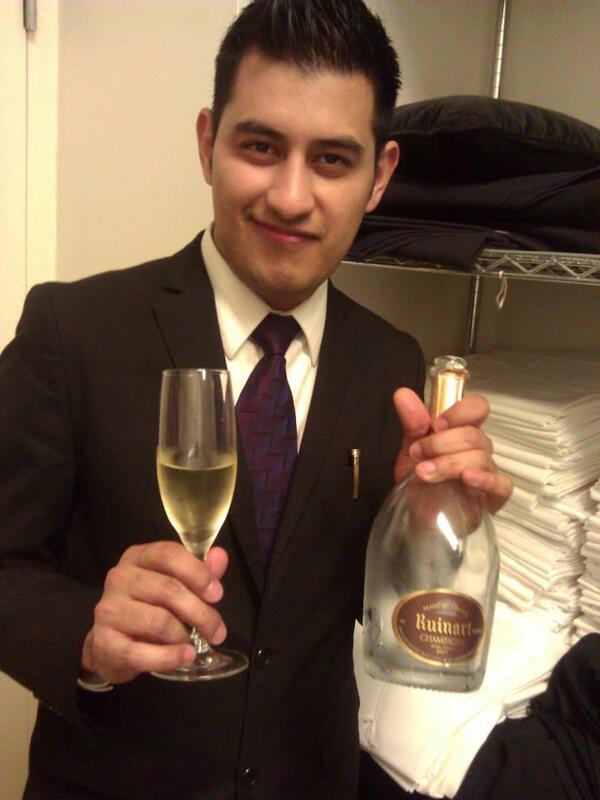 Blanco is a consulting sommelier for small restaurants and is looking forward to his first attempt of the Advanced Sommelier Exam in 2015. Peer pressure (laughs). I decided to enter from my other friends and sommeliers who are also participating (Dario Najera and Paulina Avendaño). They convinced me to participate in order to get a little glimpse at the Advanced exam the three of us will be taking next year. I made a change to my sleep cycle and my work schedule to give me a chance to stay up late and study, and still get enough sleep during the day to retain the information. I taste wine twice a week with my “MexSom” study group (Dario, Paulina, Carlos Rosas, and our mentor Jaime De Leon). I’m also practicing service standards at work and recommending cocktails I never served before. Flash cards have never worked well for me, so I decided to travel back in time to ask a Roman emperor how he memorized his long speeches, and he gave me a method which has been very helpful memorizing everything else in my life (even shopping without a grocery list). It would be a great reward dedicated to the Latino movement of sommeliers in Houston, which we have already accomplished to be the first group concentrated in educating in the Spanish language to the Latin community in the world of wine and hospitality, with a great vision to expand in the near future. Win or lose, my amigos and I will have many choices to consider during the Grand Tasting, including my favorite style of Champagne (see photo with Ruinart). Although an old traditional Barolo Riserva will take me right back to my first glass of great wine back in 2008. Jarrett Michael Buffington was raised in Houston and has a Bachelor’s degree in Music from Houston Baptist University. He is also a Certified Sommelier. Buffington’s three deepest passions are music, traveling, and wine. I chose to enter the competition for many reasons. All my life I’ve loved competition so it was only natural to want to prove myself competent among the rest of the wine community. Also, it gives me a chance to meet like-minded individuals and hopefully make long lasting connections. Finding the time to study in the midst of daily life is a challenge in itself. It’s a lot of late nights and early mornings in order to reach a goal or a vision that you have. But that is one of the most beautiful aspects of being a sommelier. So much of your progression depends on your drive and passion without someone pushing you. Winning the competition would definitely help make a name for myself in the industry and at the same time hopefully open up new endeavors like winemaking. I imagine winning would bring new and exciting adventures into my life. After I win, I plan on drinking beer. It doesn’t matter what kind, as long as it’s cold. Brett Forsberg is a twenty-five year old Houston native with a Bachelor’s in English from the University of Houston. He is the editor, soon-to-be-sommelier, and bartender for Master Sommelier candidate David Keck at Camerata at Paulie’s wine bar in the Montrose area of Houston. I wanted a chance to show the Texas sommelier community how much work I’ve put into becoming a compelling wine professional. 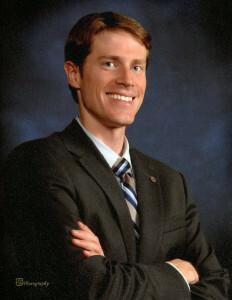 I want to win for David Keck too. Texas should know that the best somms come from Houston and Camerata specifically. Because I work in a wine bar and because I have a mentor like David Keck, who will take time to give me mock service exams, studying for this competition and doing my job go hand in hand. I don’t do much other than study wine. It would be proof again that I am capable of the effort it takes to be successful in such a challenging environment. Assuming it’s around, some ten-year-old Clos Rougeard. Jarrett Buffington, my fellow competitor and best friend, brought the idea to me and it just seemed like the right step to take. The competition will help me better understand my areas for opportunity. I have tried to not allow it to, however, I have been taking more time off to prepare. I have a big support system; I could not do it without my team. It would open doors to future advancement. I am going into this competition with the willingness to accept any outcome, and knowing the knowledge I have gained in preparation is invaluable. I decided to enter this competition because it offers me the great opportunity to mingle with the best of the best of this trade, plus it helps me to get a deep view of my progress as a wine professional. Studying for this competition in my case is very difficult having a full time schedule. The few hours I get out of my schedule go directly towards studying. It is not easy, but when you choose the path of hospitality and wine, the definition of normal is very different than what any dictionary defines. If you want to provide your guest with the best of the best you have to offer, you will always end up going beyond expectations! My participation in this competition is not about winning. It is just getting the reward that I am recognized as a sommelier who knows how to do his job the correct and proper way, and also knows how to do it in a way that I can inspire other industry professionals to follow the same path. 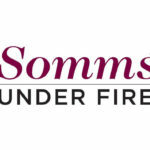 This competition is not easy and I am very pleased to be competing with some of the most talented and respected fellow sommeliers in the state. Well, bubbles are great: Egly-Ouriet, Krug, Pierre Peters (my favorite), and even Movia Puro (I have day dreams about disgorging one of those myself). They are all great, but in this case I will settle with a more quiet way to celebrate: a nice ultra-smoked Oaxacan Real Minero Reserva Mezcal and an Arturo Fuente Chateau Belicoso cigar. That’s how I roll when I celebrate. Whitney Seng is a rare Houston native who was born in the Heights. He said, “This evolving town has given me 30 years of love. I attended schools in the Heights, Montrose, and South Park. Though I pursued career opportunities outside of Texas, the diversity and vitality of Houstonians makes this city an ideal place for a burgeoning wine professional to cut his teeth. 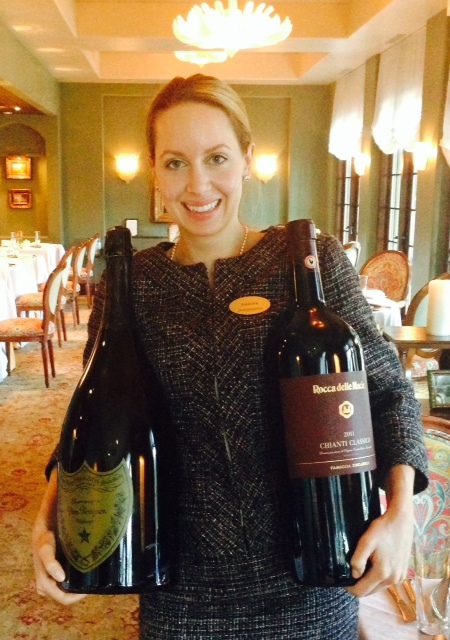 While working at long-lived institutions such as Houston Wine Merchant, Richard’s, and now River Oaks Country Club, I’ve assisted vivaciously curious new wine lovers as well as seasoned wine veterans who remember when Studewood Park was a farm and Château Lafite Rothschild cost seven dollars (have a drink before your head explodes). 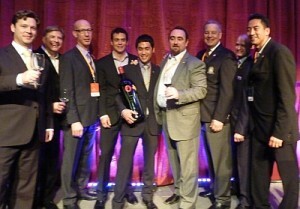 The Texas’ Best Sommelier Competition serves several purposes. It’s an effective way to put my skills to the test. Likewise it’s an effective reminder to learn the great Port vintages of the past fifty years. Above all TEXSOM is a cauldron to get to know like-minded professionals from around the Lone Star State. Studying is part of the sommelier’s life. It has to be. We are charged with knowing every minute detail about the entire world. We represent the pinnacle of the service world and often act as concierge to far off places we’ve never visited. I commit myself daily anew to find the work-life balance to learn about the vast array of products I sell and have yet to sell. Winning the Texas’ Best Sommelier Competition would be humbling and thrilling. I would humbly thank the many people who supported me these past six years. I would not so humbly sabre an entire case of 1997 Salon! We tried a couple wine bloggers in the DFW area so all three cities could be covered, but were unsuccessful. Maybe next year!